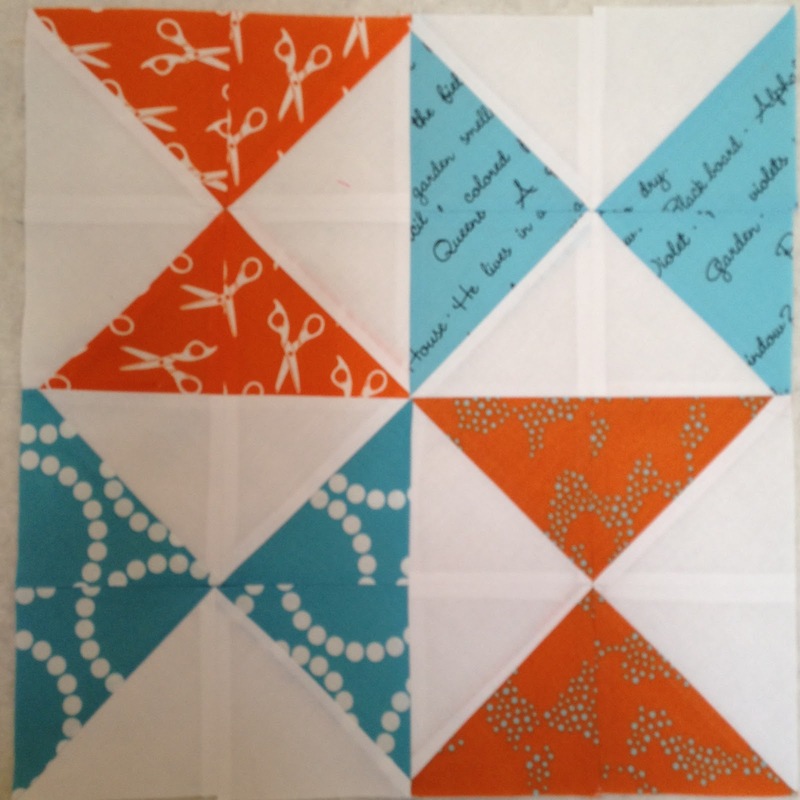 Linking up with Lee at Freshly Pieced this week. I finished my first cathedral windows pin cushion. I just need to sew the button on it. I might not use the ladybug; maybe one with more glitz? The August block in Jeni's HST BOM is finished. These blocks are making the year seem like it is flying by. Only 4 more blocks to a finished quilt! I've finished piecing the front and back of my 100 Quilts for Kids. I need to baste it and quilt it. It's been so hot I have delayed getting this one finished. Hopefully I will at least get it basted by the weekend. No Progress on getting the Granny Square quilt basted and quilted for the same reason above...it's too darned H.O.T!!! Have you been checking out all the great projects that everyone is making on the WinterKist blog hop? Click over to Katie's blog to see who is next. There is a chance to win a fat quarter stack of fabric each Friday. I really love your pillow! The little lady bug is adorable but something glittery or flashy would go well too! I need to try a pillow like that! Very inspirational! Great pieces....love your quilt colours. I love the colours and fabric you've used in your charity quilt! And the lady bug button is very cute! Cute wee pincushion,and great job on the block. Hope it cools down for you soon so you can deal with all those quilts! Love the pin cushion, and you are right - you cannot baste and such in the heat. The projects will wait until it cools some. Super pincushion! I love the ladybug. I love cathedral window pincushions, I must make another as I gave all the ones I had away. I love how your quilt is coming together. That cathedral window pincushion is wonderful! Thanks for linking up.